Like any other holistic system of medicine, massage therapy believes in both physical as well as mental rejuvenation. This is very much evident from the fact that a majority of people prefer massage for relaxation and stress relief. 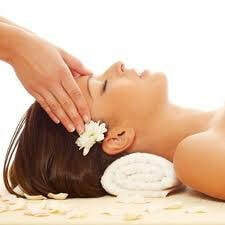 It is undeniable that the physical effects of massage are marvellous. They help speed up recovery, flush the toxins out of the body and also relieve muscle tension. The emotional effects, on the other hand, are what is attracting the crowd here. In the present times, lifestyle diseases are spreading like an epidemic. The foremost reason for this is stress. The noticeable effects of massage are stress relief. It creates a “feel good” effect on the body and the brain. A healthy and stress-free mind can tremendously affect the overall well-being. Massage is also believed to help patients with mental illnesses like anxiety and depression. These mental conditions become particularly worse during the times of stress. Massage on a regular basis has been found to decrease the level of anxiety. Patients suffering from depression also show a good response to this therapy. On a fundamental level, massage will help us manage our emotions in general. This leads to sound mental health. It helps us cope up with daily struggles in an efficient way. Massage is also a great way to spruce up your connection with your partners. Couples massage therapy helps in bonding between couples. If you have a friend accompanying you for massages, you are sure to feel more attached and open to them. Improvement in interpersonal human relations is pivotal for our happiness in general. Next time you have a fight with your spouse and do not feel like talking to them, take them to a massage parlour and see how quickly you resolve your issues.